Nevco, our manufacturing partner, specializes in scoreboards, video displays, and scoring accessories at the high school and collegiate level to give you the best lineup of products in the industry. 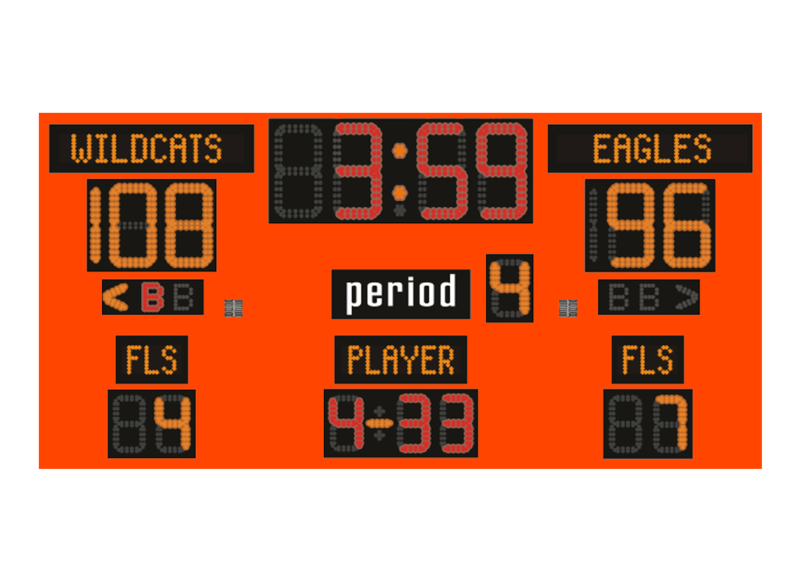 Nevco offers a line of indoor multi-sport scoreboards that make it easy to go from one sporting event to the next. These Intelligent Captions™ scoreboards change between three sporting modes: basketball, volleyball, and wrestling. The Intelligent Captions scoreboards are among the industry's first intelligent scoreboards. They feature electronic team names, caption plates that use LED captions, and can be controlled by either a wired or wireless controller. They easily display sport-specific captions so you can automatically display different captions depending on which sport you're playing. Whether you are looking for a basic indoor scoreboard or an eye-catching LED Video Display complete with scorers tables and shot clocks, we can assist you in meeting your indoor scoring needs.